Warrick is a practicing cardiologist and author with a passion for improving care by helping patients understand their heart health through education. Warrick believes educated patients get their best health care. Discover and understand the latest approaches and technology in heart care and how this might apply to you or someone you love. Hi, my name is Dr. Warrick Bishop and I'd like to welcome you to my consulting room. Today I'd like to give you a little bit of an update on the Lipid Guidelines from 2013 American Cardiology and the American Heart Association. I guess the thing that I want to try and convey is from those guidelines, who do we really think benefits from cholesterol lowering? Well, first of all and most importantly, there is absolutely no question that people who are in the secondary preventative role will benefit from cholesterol lowering. What is secondary prevention? Very quickly, secondary prevention is to stop someone having an event again or, if you like, a second time. So, someone who's had a heart attack, we put them on cholesterol lowering agents and blood pressure tablets, and aspirin to try and reduce another event. That is called secondary prevention. There's absolutely no question that cholesterol lowering in the secondary prevention space, the data is robust and clear that that is beneficial. Interestingly, in America the recommendation is to just try and drive that target down as low as possible. In Australia, we recommend targets of about 1.8 mmols per liter, which is as low as 70 milligrams per deciliter. So we try and drive to a particular target. So, secondary prevention, no question those people benefit. The second group that the 2013 guidelines recommend will benefit those with an LDL cholesterol. That's the so-called bad cholesterol above 190 milligrams per deciliter or that would be 4.9 mmols per litre. Now this is a very high cholesterol level, but there is good evidence to suggest for patients with cholesterol that high that they will, as a group, benefit from reduction of cholesterol using cholesterol agents. It turns out that most patients who would have cholesterol levels that high likely have a condition called familial hypercholesterolemia. That can be a discussion for another time. So, who benefits? Secondary prevention and very high LDL cholesterol patients. There's also a group of patients that the 2013 guidelines recommend will benefit. And these are people with diabetes who haven't yet had an event, who have a cholesterol between 1.8 mmols per litre and 4.9 mmols per litre or between 70 and 190 milligrams per deciliter. These are people who are pushed up into a higher risk category because of their diabetes. Makes a bit of sense if you think about it. Diabetes is a significant risk for that development of coronary artery disease. The last group of people that the 2013 Lipid guidelines recommend will benefit from therapy are patients between 40 and 75 years of age with a 10 year risk of greater than 7.5% of an event. In Australia, we would consider those people low intermediate risk and certainly, we know that within that group, particularly at a rate of 7.5% or greater over a 10 year period that if we treat 100 people, we're actually treating 7.5 within that group that do need therapy. 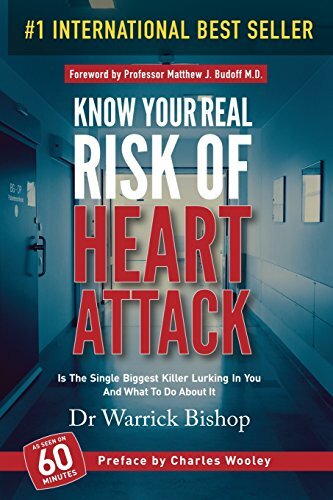 In my own practice, I try adding imaging to look at the heart and get even more of an idea of exactly what we're dealing with and I believe that gives us an opportunity for specific tailoring of a management strategy for individuals based on their particular needs and not just their cholesterol levels. So I'm not going to talk about imaging today, again a talk for another time, but I think that adds extra information that we can tie in with these 2013 Lipid Guidelines. Well,. If you're someone, nased on the 2013 Lipid Guidelines who would benefit from being on a statin and you're not on one, please go and talk to your local doctor. I hope you found today interesting and informative. As always I wish you the very best and thank you for joining me. Goodbye.